Normally Surreal: A Sneak Peek (with Dinosaurs)! Hello! I hope everyone had a week that was better than the thought of a "Jurassic Park" and "Pirates of the Caribbean" mash-up! This week, I am exuberantly excited to bring you a chapter from my upcoming book "Life is a Pirate Ship Run by a Velociraptor" which will be released September 7th! If you haven't yet, quickly go "like" the book's Facebook page to stay up to date on more previews and exciting updates! So without further ado, I present the first public snippet of "Life is a Pirate Ship Run by a Velociraptor!" I was not a complacent little child. I refused to wear any dress that had ruffles or lace on it. The only way you could get me to sit in a chair for long periods of time was with a book, and even then my legs would be swinging away. I never understood why in Sunday school I couldn’t color Jesus purple and draw green antennae on his head. Apparently, a four-year-old can commit “blasphemy” even though she can’t say it. I also did not understand why it was weird for me to want to be Robin Hood as opposed to Maid Marian for Halloween. 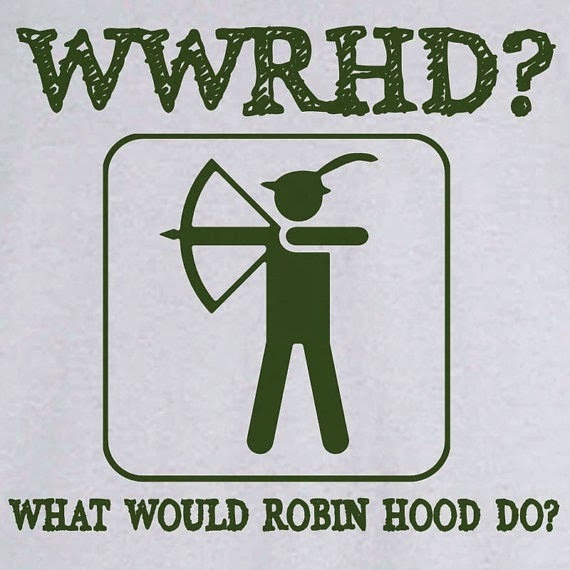 I mean, come on, Robin Hood had a bow and arrow. What did Maid Marian have, needlepoint? And, though I was shy at first with most adults, if prodded enough, I definitely had an opinion on absolutely everything. I know, that last one is particularly shocking. When I was in kindergarten I lived in Eugene, Oregon, a magical place where both the super conservative Promise Keepers religious group and the Grateful Dead once came to town on the same day and held performances two blocks away from each other. Directly behind me lived a little boy about two years older than I, named Todd. Our back fences, which were actually just some super tall hedges, met with a gate in the middle. Every time I went over to Todd’s house to play it was like I was traveling through the portal to Narnia or the Secret Garden. Todd introduced me to an amazing amount of pop culture. 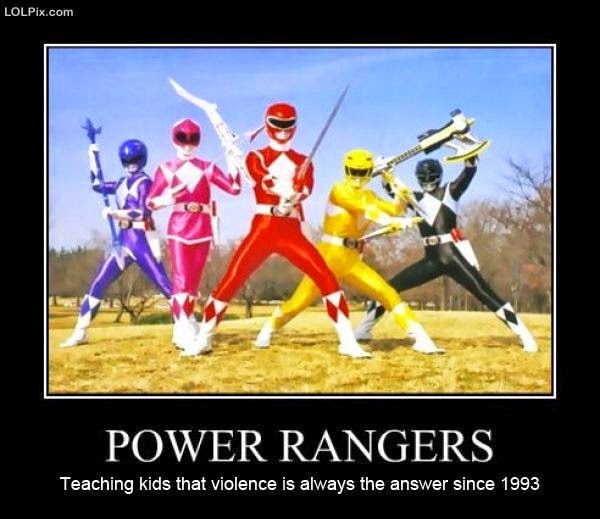 I first watched Power Rangers with him and quickly learned why no one wanted to be the blue Power Ranger when groups of us kids got together to pretend to defeat giant robots (cardboard boxes). Probably the best and most influential piece of culture that Todd brought to me was Jurassic Park. This was not a movie that I really was supposed to have been watching. However, at the age of five, I operated under the principle of “ask for forgiveness instead of permission,” more often than Keira Knightley is photographed with her mouth slightly open. I already loved dinosaurs, but that movie doubly solidified my adoration for the long dead creatures. Dinosaurs were awesomely rad. They didn’t have to go to bed at nine, they didn’t have to listen to their teachers and they most certainly didn’t have to brush their teeth at least twice a day. Heck, dinosaurs couldn’t even be stopped by an amazingly good hunter, his skill being evidenced by his Australian accent, with a gun. What chance did parents have against that!? That movie was the true deciding factor; I wanted to be a dinosaur. 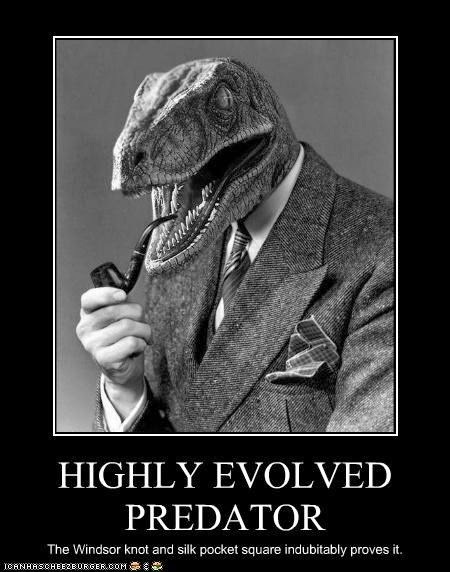 To that end I quickly adopted my dinosaur persona, namely, that of a velociraptor. 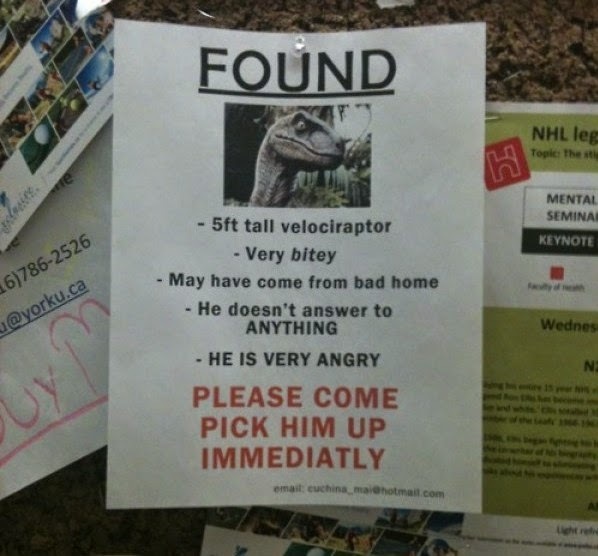 I would stomp around, making velociraptor calls and keeping my arms tucked in with two fingers protruding like claws. I did not want to be “adorable.” I wanted to be fierce! This was a point that did not go over well when I chased after the other kids in Sunday school, roaring and snapping my teeth. To answer your question, no, I did not have a lot of friends my age when I was a kid. Why do you ask? Now, I had learned to read by the time I was in kindergarten, and not just little kid, “See Spot run” type books. I had chapter books under my belt by then and was happily working my way through books I found on Greek Mythology, dragons and, of course, dinosaurs. At first my kindergarten teacher was extremely excited that I could read, but then she realized how dangerous this truly was. One day we had “Career Day,” where we were all going to talk about what we wanted to be when we grew up. Looking back on this as an adult, it makes about as much sense to have a “Career Day” for kindergarteners as it does to have scrapbooking classes for sparrows. I am currently in my twenties and I honestly have no idea what I want to do with the rest of my life. How do you expect a kindergartener to know? In any case, my teacher went around the room asking each little boy and girl what they wanted to be when they grew up. She started at the front of the class. bar after work that day. Finally, she agreed to “President-ninja-Batman,” as it was at least human and moved on. She may have moved on, but I was not giving up my dream of velociraptor glory. A few weeks later, the kindergarten class was to put on a little mini-play about safety at our school assembly. Everyone in the class got a part. Practices went well enough. I delivered my line and moved off stage and my teacher seemed to take fewer and fewer of the little white pills she kept in her desk with each passing day. The day of our debut performance in front of a bunch of other elementary school kids finally came. I looked out at the crowds we would be performing for and immediately knew that my one line was too much for me to utter. I was terrified. With all those little eyes watching me, I just knew that I was going to do something awful and embarrassing, like forget my line, walk off the edge of the stage or have to be the blue Power Ranger next time we were all playing together. 2. Run around roaring and eating animals. 3. Never have a set bedtime ever again. The performance went smoothly enough and then it came the time for the shopkeeper to come on stage and say her one line. 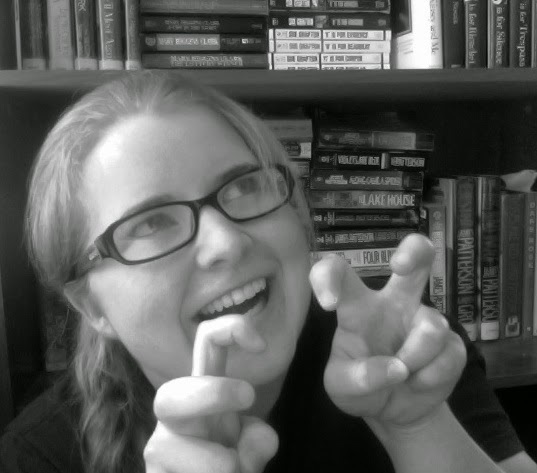 I got up on stage, looked out at the crowd of other kids, and immediately channeled my inner-velociraptor. My hands came up into their claw position, I bared my teeth and I roared. The rest of the teachers looked at my teacher for a minute, almost believing this might be part of the play. Their hopes that this was planned were immediately dashed against the jagged rocks of reality, as I roared again and proceeded to chase Jimmy off of the stage. Despite the punishment waiting for me at home, I never gave up on my velociraptor dream. Granted, today I can’t really roar at non-compliant clients and chase them out of my office, but if you’re around me enough, you might catch me in a moment where just a little bit of velociraptor shines through. So, what scraps of knowledge can be picked from the bones of experience? 1. If you want normal, rather bland children, don’t teach them to read early. However, if you want awesome children, with huge imaginations, who can solve problems and think things through, then teach them to read as early as you can! 2. The weirdest kids on the block oftentimes simultaneously have the biggest bruises and the most fun. 3. Don’t try to cage the velociraptor, it will only come back to bite you in the end. Sometimes literally. 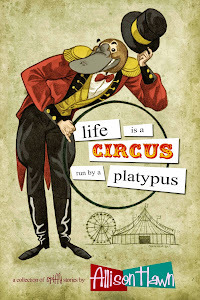 If you liked this excerpt, the rest of "Life is a Pirate Ship Run by a Velociraptor" will be sailing to a bookstore shelf or online store near you! Don't forget to go like the book's Facebook page for updates!